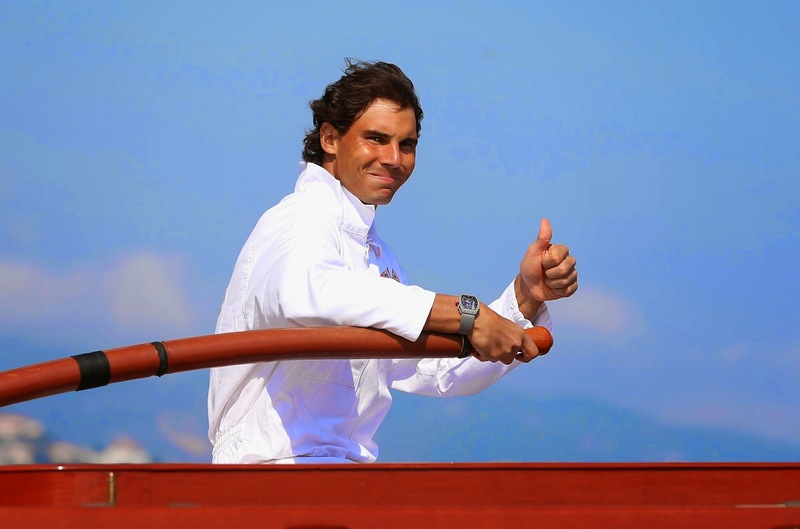 Rafa Nadal spent his afternoon on Monday April 14, 2014 at the Yacht Club de Monte-Carlo. Rafa joined the crew on Tuiga, manning the rudder and learning the ropes of sailing the Yacht Club de Monaco’s flagship. Tuiga sailed around Monte-Carlo harbour, affording Nadal spectacular views of the Cote d’Azur coastline. "It was a wonderful way to enjoy an afternoon,” “It was a special experience for me. I am from an island, so the sea, the sails and everything involved means a lot to me. I really enjoyed it and want to say thank you very much to all the Tuiga crew, who were very nice. I enjoyed it a lot with them. "I don't go sailing very often. I go more often on a motor boat. I don't have much time at the moment for sailing, maybe in the future. I spend a lot of time on the sea when I'm at home, especially in the summer. I live in front of the sea and the port is three minutes from my home. "The way that [the crew] are working together to make the boat perfect and go faster is amazing. Everybody works for one goal. It's a special thing."